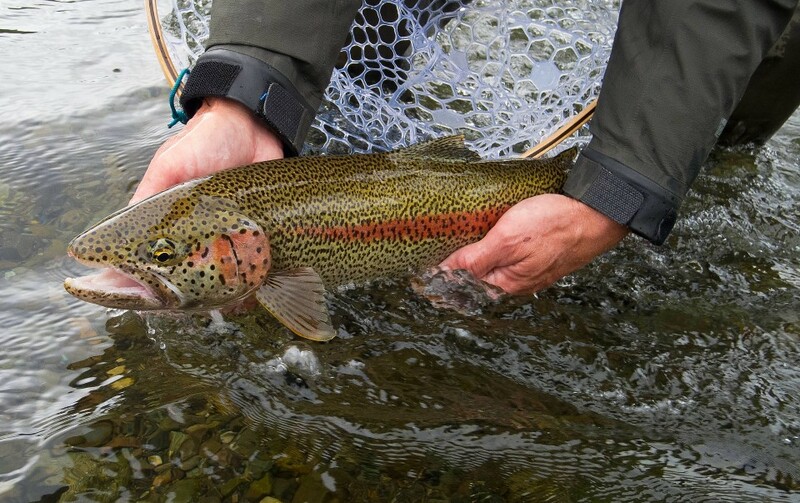 The 6th annual week of trout, char, and salmon fishing with a blind fly caster, an angler in a wheelchair, an angler with a prosthetic leg, a disabled Viet Nam veteran, and a fly casting Iraq war veteran. 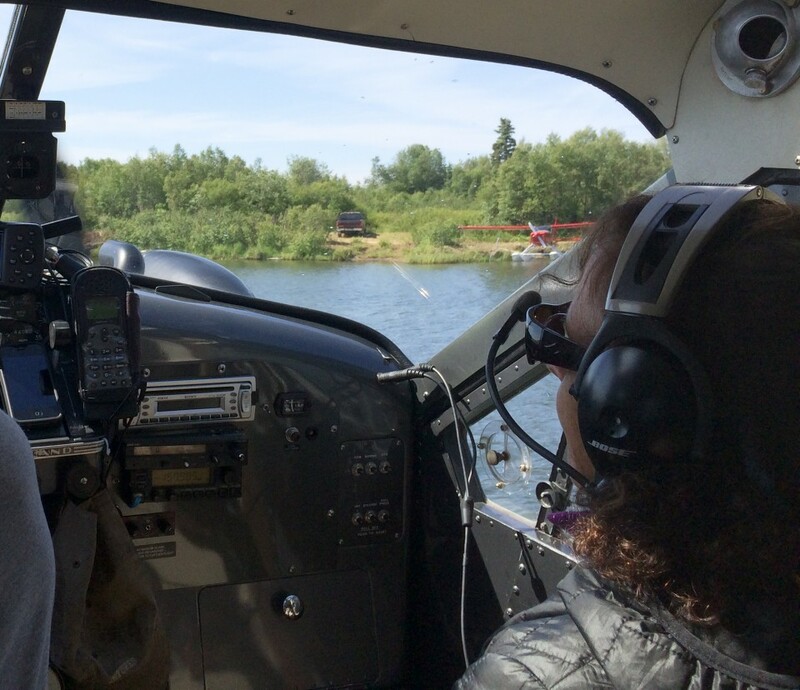 From the trip log “The floatplane flew across almost the entire Togiak Wildlife Refuge headed into the headwaters of the Kanektok River. It was a spectacular flight. Luanne the blind angler was riding co-pilot and listening as pilot Rick described where they were going. Luanne was on her first adventure to Alaska”. Malcolm Daly, our mentor, a legendary prosthetic legged angler- Alaska angler- ice climber sat behind the pilot with guide Brain Malchoff. On the second flight were paraplegic angler Bill Becher with his off road wheelchair, and his wife/angler Jane Becher. 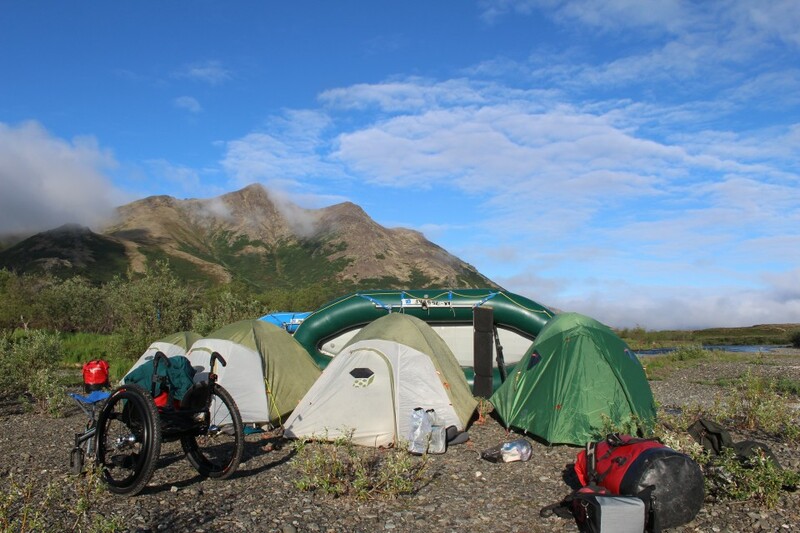 Jane was keen to see how rafting and camping in the Alaska bush would work with her adventuresome paraplegic husband. 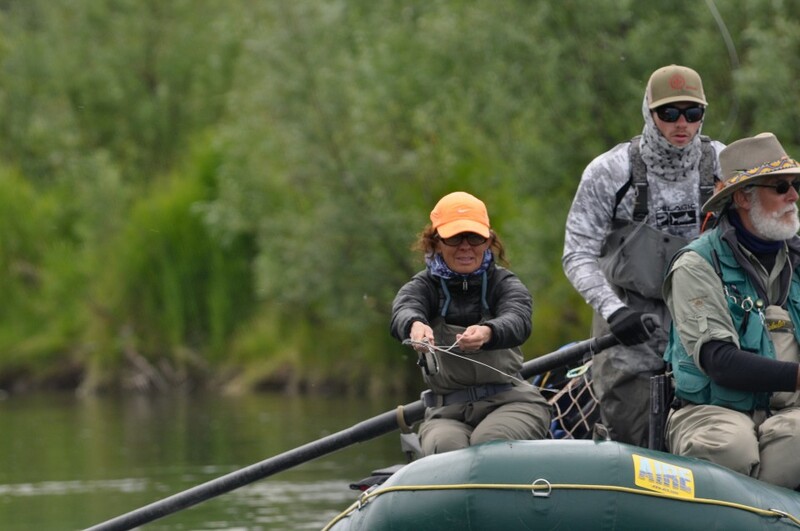 We shoved off down the river outfitted with rafts and equipment for a weeklong fly-fishing trip. 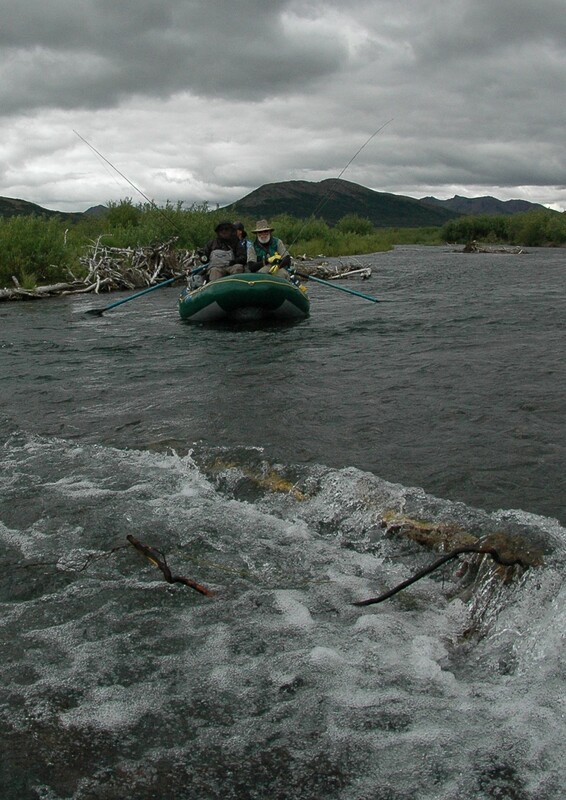 The Kanektok is one of the longest and finest sport-fishing rivers within the Togiak National Wildlife Refuge. 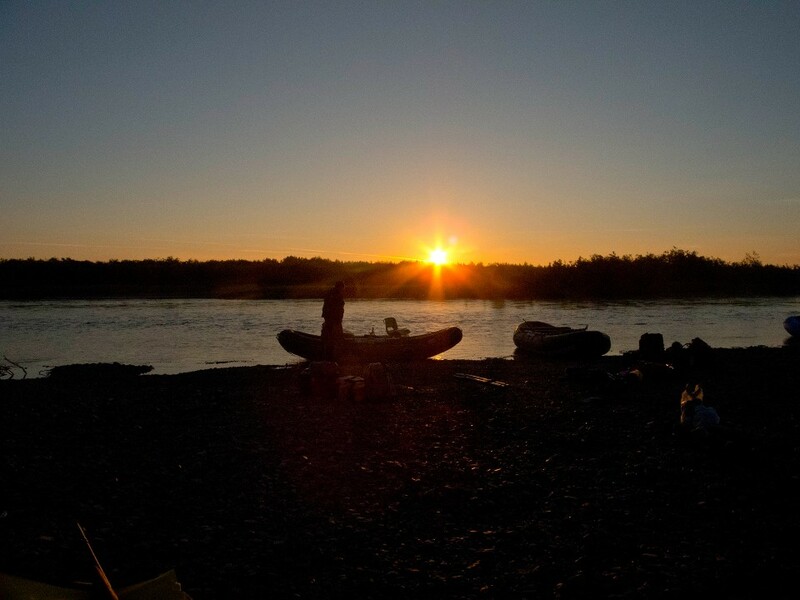 The 100 mile long Kanektok is regarded as technically challenging rafting, camping, and fly-fishing. Over the course of the week we discussed why we chose this particular river with a group of anglers with significant disabilities. 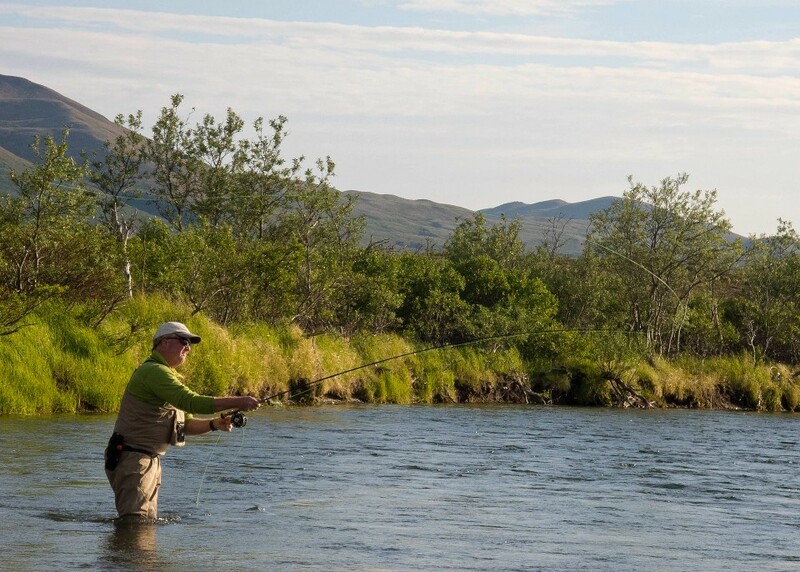 We passed a bull Caribou on the bank while we considered that disabled anglers truly deserve a shot at the very best Wilderness fly-fishing water in Alaska and not a “watered-down” day trip on a roadside tributary with easy logistics. This particular group was keen to accept the challenges. A Mink swam across the river being harried by an Arctic tern as we made camp. We helped unload the rafts. Bill wheeled his off road wheelchair around the gravel bar and blind Luanne used her cane to map out the terrain. After a dinner of pasta and Sockeye Salmon a tired group of travelers retreated into the tents while the midnight sun shone on the horizon. A “sundog” which is halo of high altitude ice crystals around the midnight sun foretold a change from fair weather to storm tomorrow. Tents were readied for wind and rain. From the trip log of day two. As forecast, the weather changed for the worse, “Bill & Jane and I rowed and fly cast through some very intense rain showers. It was a long hard day of elemental travel exposed to weather. We passed through the misty tundra and shrouded alpine mountains. 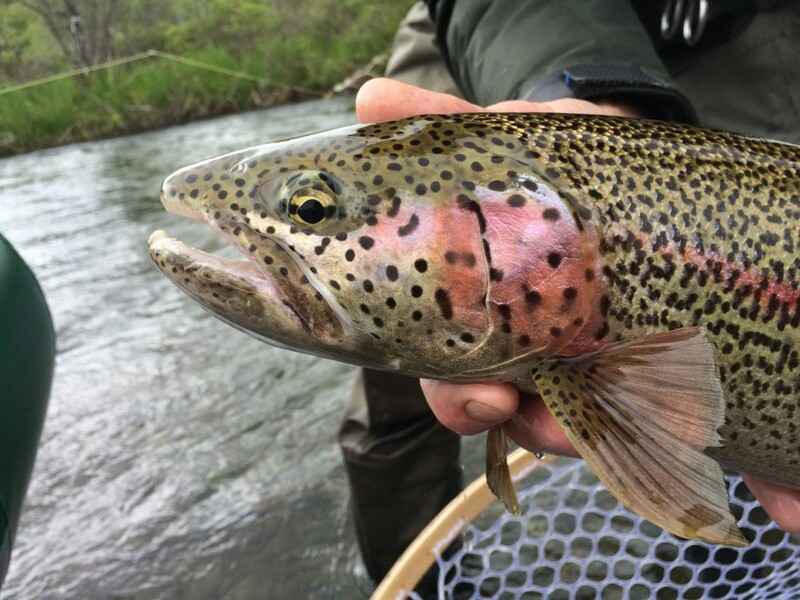 Jane landed a spectacular leopard spotted rainbow of 24 inches and Bill a lovely fish just a shade smaller than his wife’s.” We were working out the details of transferring Bill from wheelchair to raft and each time became more efficient. The challenges of the upper Kanektok are route finding in the complex braids created by years of floods, which have carved channels and islands. The river continually subdivides into small channels and to travel down them is to be immersed in what we began to call “jungle tours”. The afternoon of our third day was spent sending a lead raft ahead to scout for a safe channel then the other boats followed. The goal was to minimize the potential risk of sending a raft with a blind angler for example, down the wrong channel and putting her at risk of collision with dangerous sweepers. We travelled slowly and safely; casting streamers as we went. Davide, a gifted angler, took several exceptional Rainbow Trout and Jane again took a very large trout. The Arctic Grayling were a delight. Davide walked with either a stout cane or waded with a staff to compensate for the damage done to his knee, kidney, and back by 20 mm antiaircraft fire while piloting a Huey medevac helicopter in the Viet Nam war. 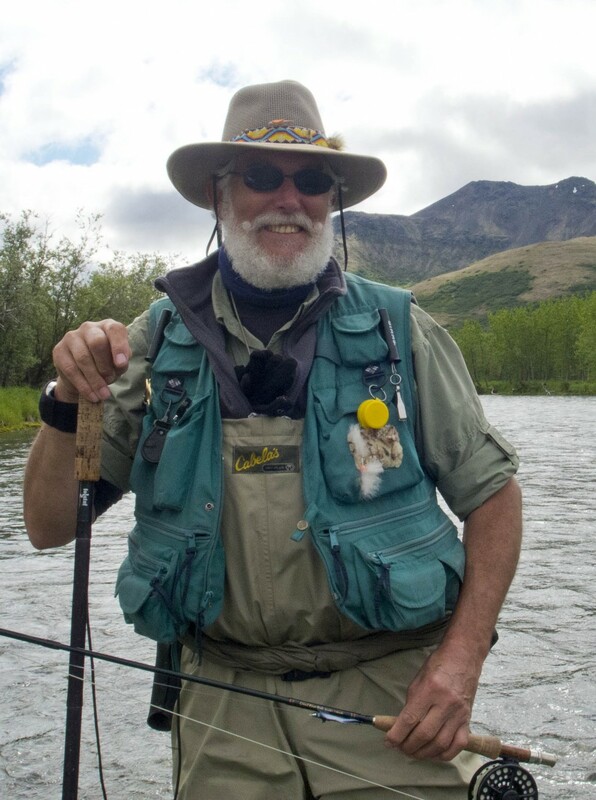 A gifted pilot, he still flies in his seventh decade and he had always dreamed of coming to Alaska to fish. Looking at the log reminds me how many times I saw Davide’s rod bowed. 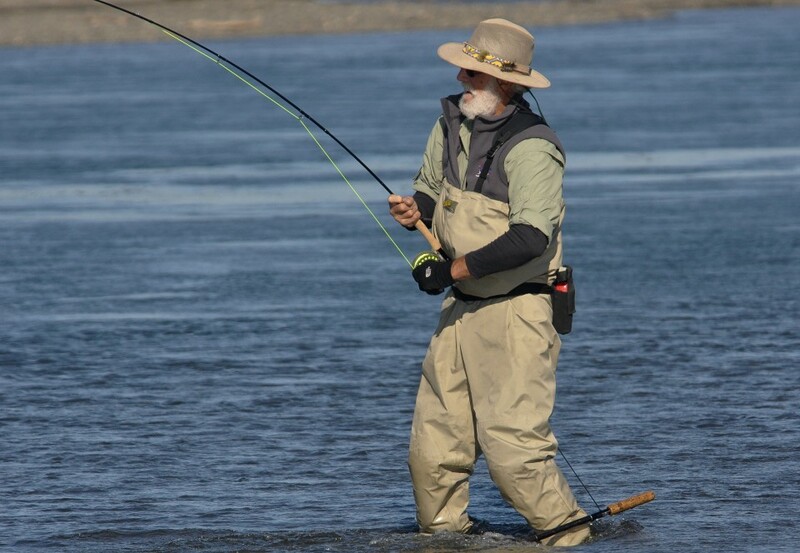 He had the gift that makes fly fishing look effortless. Then one day he hooked one of the largest Sea Run Dolly Varden Char of the 2014 season. This Char was bigger than any of the salmon he’d taken so far. It was a fish of a lifetime. Luanne our blind angler, coached by Malcolm Daly, Brian, & John, was working on her cast and we all felt humble watching her casting skills develop. By the end of the second day she had a serviceable cast yet what remained was for her to hook up to a live fish! Luanne had fly fished as a girl but over the decades her eyesight dimmed and she’d had less opportunity to fish. Now on this remote river among Caribou and Brown bear and the other wildlife she had a chance to put it all together and we looked forward to the many fish she’d hook. As days passed and we floated and camped through the mid section past Nukluk Creek the fishery took an unexpected change. On July 1’st a pod of car-bumper-chrome colored fish appeared in front of Jane and Malcolm. 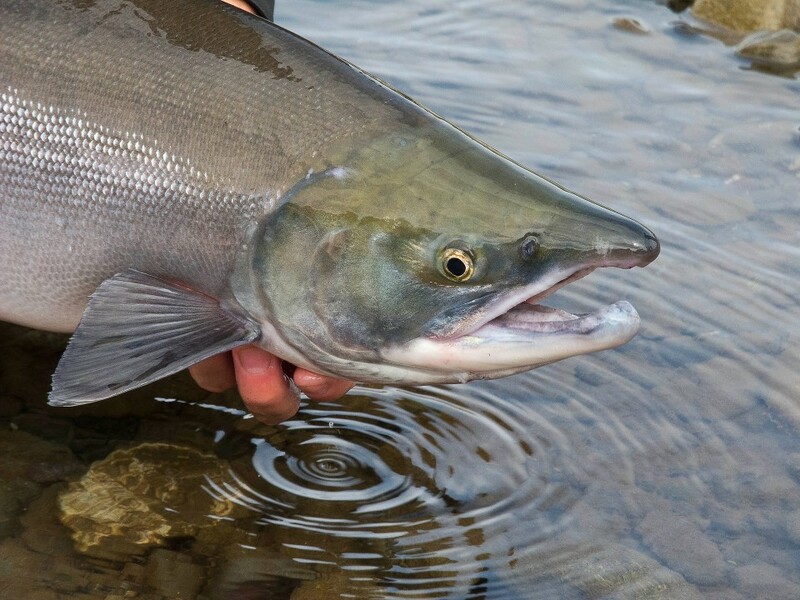 They swung their streamers and hooked the first vanguard of what would become the greatest Dolly Varden migration in the memory of Bristol Bay residents and fly fishing guides. With each day thousands more Sea Run Dollies poured into the river. They were so large and so powerful they reminded us of steelhead. The trip had passed the halfway mark and we were settled into a comfortable routine. Coffee and Tea and breakfast, then break camp and wade while casting as the boat teams loaded rafts. We rafted, waded, & cast till noon and then pulled ashore for lunch. 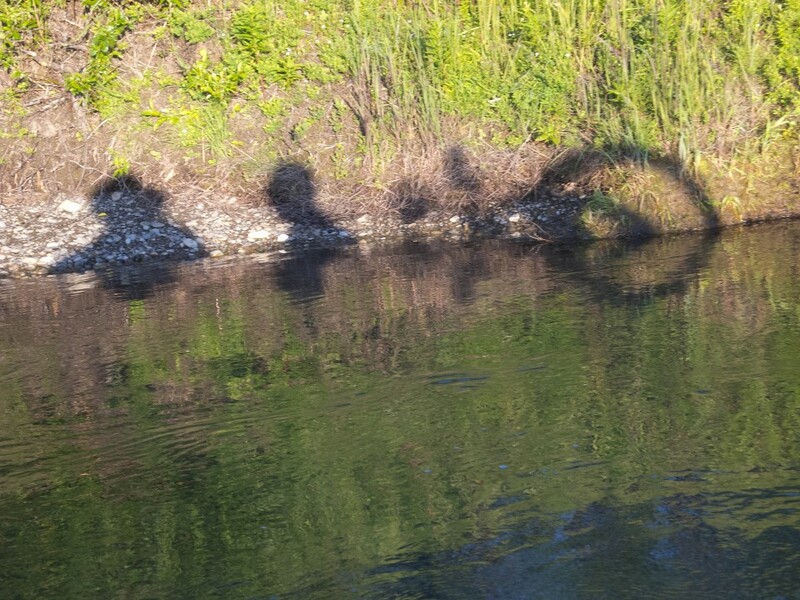 Miles scrolled by as we fished and navigated down river and then camp was built as a team in the evening. In the lower river after we set up camp our mentor Malcolm Daly waded and explored and released a half dozen really prime Rainbow Trout. Malcolm strikes one as so very comfortable in the outdoors and he sets a high standard rowing a safe line down the river on the oars. Then he carries gear bags from the boat to camp and you notice that his stride was uneven and you remember that he lost one leg in an Alaskan climbing accident. Malcolm swinging streamers, carefully releasing fish was inspirational. From the log of July 3, 2014 “Brian Gliba, Malcolm and I shared a boat and the Rainbow Trout fishing was very strong” Brian released in excess of ten Rainbows as we talked about the physical challenges he faces on this trip and the challenges he undertakes working with disabled veterans, in particular his work on the current epidemic of suicide. Brian described his war injuries and the years of reconstructive surgeries as his body and nervous system was repaired. The injuries to his spine and the traumatic brain injuries he’d sustained are shocking but when you hear Brian’s story you realize that what came later once he’d been released after the hospital, when he had to reconstruct a life as a civilian was possibly worse than the physical wounds he’d suffered. Today while he continues to heal from the physical trauma, he reaches out to others by offering psychological services to veterans. Through his organization, “Project Wounded Ego” he helps severely wounded veterans find personal meaning and construct a healthy life after the war is over. 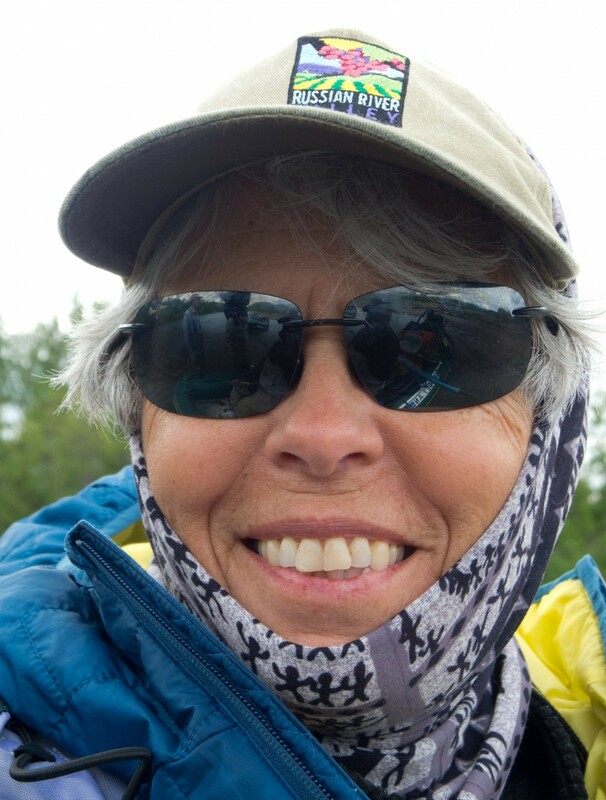 Jane relaxed as the days supporting her husband in the wilderness passed and she became evermore confident that Bill was safe and well supported by the team of guides and participants. Jane took on the wilderness workload like a paratrooper. By mid-trip she searched for trout & char & salmon with an intensity that surprised everyone. Jane’s casts lengthened each day and she took every species in the river, on her own. The lesson was not lost on us that while husband Bill arrived as a keen and proficient angler, on this trip Jane developed her own gift with a fly rod! 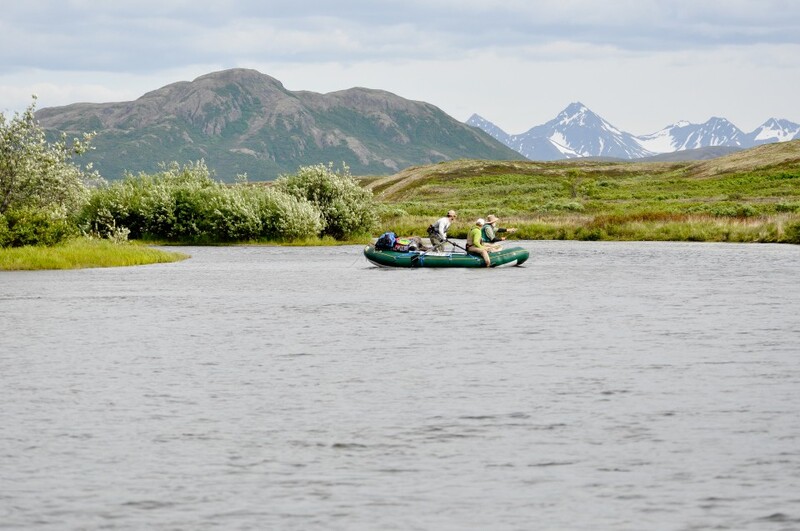 The river offered up views of Brown Bears fishing, of Arctic terns shrieking in defense of their nesting islands, of broods of ducklings, a magnificent Bull Caribou, gravel bars of wildflowers and more. The anglers took Sockeye, Chum, Pink Salmon, legendary Kanektok Rainbows, and were captivated by the power of the Dolly Varden Char. Right till the last day they took Arctic Grayling and the log says our blind angler “Luanne took huge numbers of Rainbows.” It’s wonderful to consider what blind angler Luanne felt as she touched and released those beautiful fish. 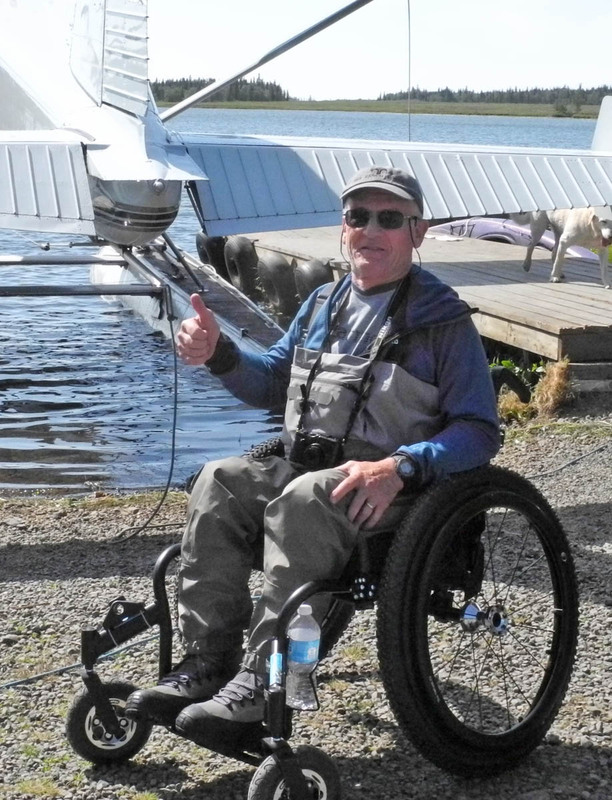 This Sixth annual disabled fly fishing trip was made possible by John Merritt and Jamie Ferry’s generous gifts to Wild River Guide Company, for disabled anglers to experience Alaska. 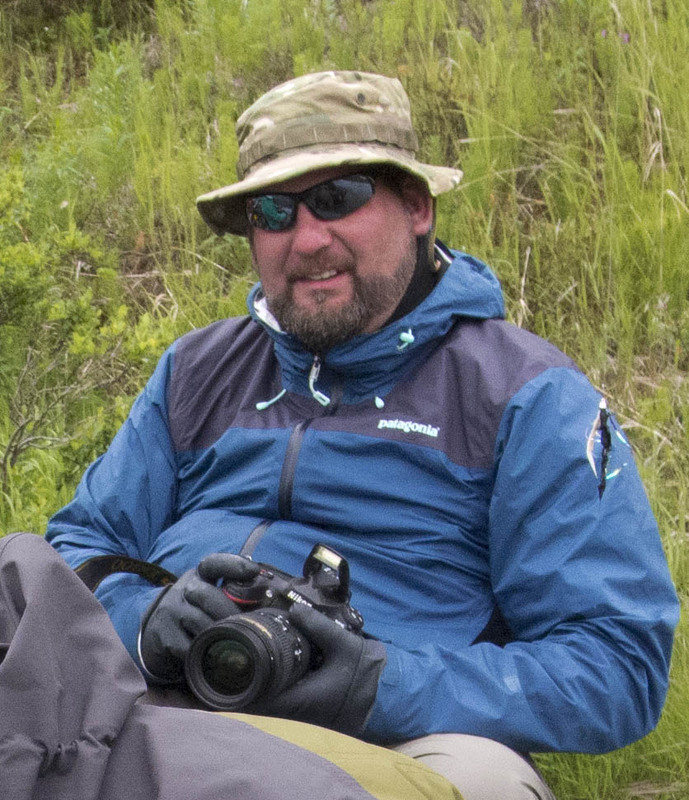 Mark Rutherford donated the camping and rafting equipment and services of Alaska’s Wild River Guide Company. Guides Brian Malchoff and John Jinishian were indispensible. Malcolm Daly selected the participants and set the tone of the trip, handled all the lower ’48 logistics, and helped guide the trip. Patagonia supplied waders, boots, and outerwear for participants. Thanks to Tikchik AirVentures, Rick & Denise Grant & Mike Fink, for the highly professional floatplane services! Special thanks to Tom O’Connor owner of the Kingfisher House Bed & Breakfast in Dillingham.